This salad is one of my favorites for summer, and a real crowd-pleaser. It’s fast and easy to prepare and goes beautifully with any grilled meat, including chicken, beef or seafood. It also makes any table or dinner spread look festive with it’s orange, white and dark green colors. I find it also holds up well, in case you need to prepare it in advance of your meal. I prefer to use a sheep and goat milk ricotta I can buy at my local Whole Foods Market, but any fresh ricotta will do. You can substitute the ricotta with a mild feta, if you prefer a stronger flavor. 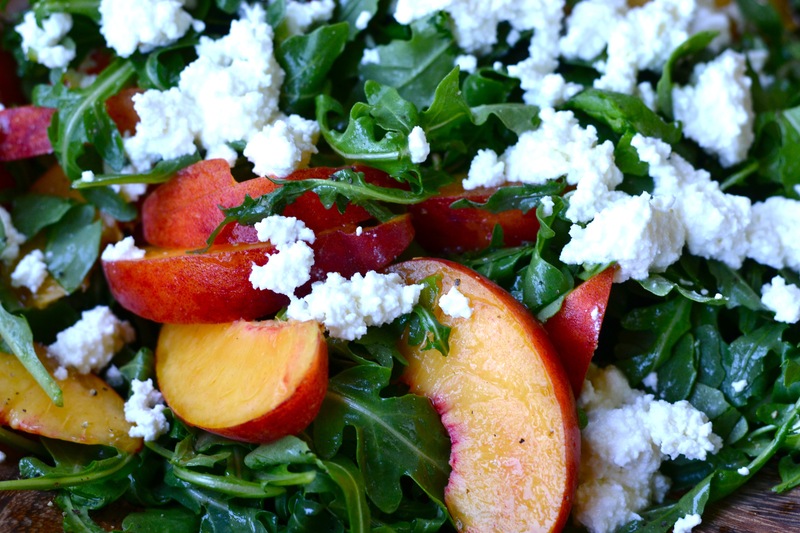 If your peaches are ripe, their flavor should stand up to the feta just fine. The following recipe serves 4-6. 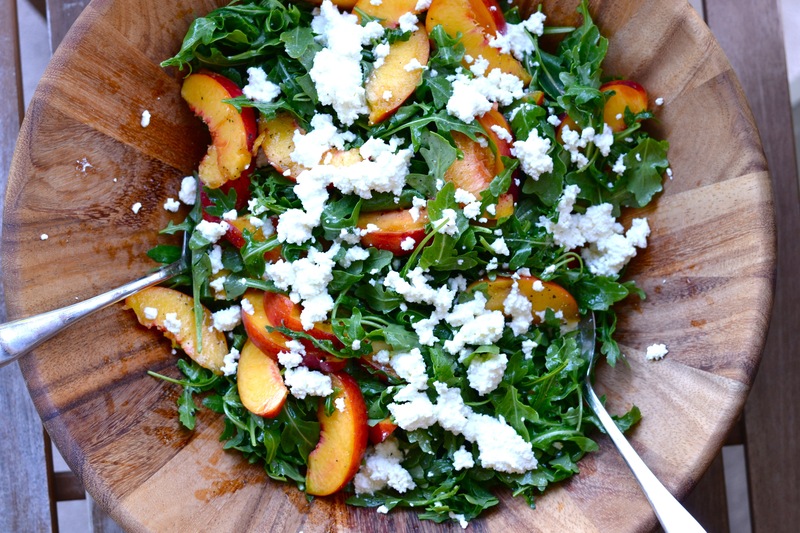 In a large bowl, add the arugula and peach slices. Toss to mix. Add in the ricotta using a small spoon so you have “dollops” evenly spread. Whisk together the oil, vinegar, mustard, salt and pepper. Drizzle over the salad and toss until the arugula is evenly coated.